Yesterday we offered some tips for decorating with canvas along with a glowing review of Easy Canvas, you can see all the things we loved about them here. Today you have the opportunity to WIN one of your own! Easy Canvas has generously provided an 8×10 canvas. As a bonus Easy Canvas has agreed to e-mail EVERY SINGLE PERSON that enters a HUGE discount coupon for 60% off of their canvas order. So everyone wins! What are you waiting for? Hurry! Scroll… scroll… enter the giveaway! LOVE Easy Canvas! They really are awesome. So glad we can have a giveaway so everyone will know! Good Luck! What size is the one you show hanging? Me too Jessi! You can see all of the details on that canvas in our review http://www.thepinningmama.com/2013/07/25/decorating-with-canvas-an-easy-canvas-review/. Love the pin and part of their website that shows the dimensions in relation to couch size! Great tip! Thanks Lisa! My friend Wanda at http://www.recreateanddecorate.com helped me with that. She always has the best decorating tips on her site! Thanks for the opportunity for the give away, I would have a canvas print made from one of my favorite vintage photos! I have always wanted to get a canvas!!!! So excited for this giveaway! Good luck! At least if you don’t win, you will get a fabulous coupon! I would like to use it for a family photo. Possibly hold off until we have a current jet photo here in a few months 🙂 LOVE canvas prints! That would be awesome! Good luck! I would love a large pic of my family. We don’t have any hanging in our home! I used to not have any also. I was so bad a printing them. I have made it a priority now and it makes me so happy to see them! My engagement photo with my husband on his knee! That is such a special moment! Definitey canvas worthy! Of all the grandkids to give to my mom for Christmas. Great idea! I was thinking ahead for Christmas too! Canvas’ make such great gifts! Oh man….so many possibilities….prob a family photo of some kind. I always print family photos! Great idea! I’d like to get a print of a picture from my honeymoon. 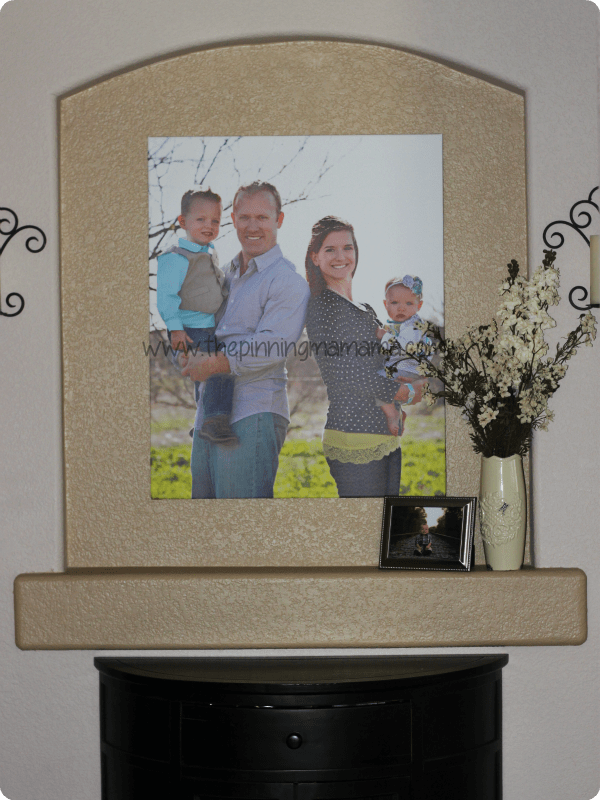 I’m so in love with canvas prints… I want a family photo! I picked a family photo too! It is a perfect classic way to show off your family! Giveaways are awesome. We just purchased a canvas print off a of a groupon. Its of our two kids (2 and 4 mos) playing together in black and white. We would totally get another canvas of our whole family together including the dog to go on our 12 foot wall of family photos. I am excited! Good Luck on the giveaway! That is a big wall to fill up! My daughter is an up and coming artist.. yes I know I’m partial but she’s just 17 and awesome! It would go to good use for her artwork. That would be so special! I am sure she is awesome and what a fun way to honor her talent. Good luck!